There's a story in missionary lore about a family who moved to a deep, dark jungle. The natives were fascinated by the family's food, which came in cans. They soon figured out that the picture on the outside of the can showed what was inside it. A picture of tomatoes meant there were tomatoes inside; a picture of corn meant there was corn inside. Imagine the natives' dismay when they saw cans with pictures of babies on them. Culture influences everything, doesn't it? This week, this video has been showing up a lot on my Facebook feed. Post by Linda Louise Futter. It's two African guys and a pile of sand. They are shoveling the sand into a wheelbarrow, and then dumping it into another, smaller pile.....about six inches away. It looks ridiculous. It looks idiotic. And the person who took the video, and offers a some narration, obviously thinks it's one of the dumbest....and therefore, funniest, things she has ever seen. It's labeled, "Only in Africa." It has 374,562 shares and over 13 million views. So I guess a lot of other people think it is funny as well. When mixing concrete, and you don't have a cement mixer, you use the wheelbarrow to measure--this many loads of sand, this many loads of gravel, this much cement. Oh. So these guys are not idiots after all. They are measuring. OH. Guess I'm the idiot now. This realization hit me hard. It cut to the heart. It made me wonder, How many times have I done this without realizing it? Complained, criticized, mocked, (written about!) something in another culture, when really I just needed to look at it with different eyes? Why do we always assume the worst? When people do something we don't understand, why do we always assume that they are ignorant, lazy, or backwards, especially when they come from a culture we perceive as less civilized than our own? We do this! We do this! I do this! In America, we do this when our immigrant neighbors park their car on their lawn. Or when they don't cut their lawn. Or when they paint their house an atrocious color. Or when they drive too slow. Or when their parties are too loud. Or when they put their garbage cans out too early. Don't they know anything??? Okay, so I get that all cultures do this about other cultures. Just like the natives who assume the missionaries are eating babies. I'm quite certain that my house helper thinks I am nuts because I ask her to iron the girls' simple cotton dresses and put them in the closet, whereas their fanciest, frilliest, laciest dresses are stuffed into a basket in the toy room and used for playing. A friend once reprimanded me because I threw away the chicken neck and after all, that's the best part. But the difference is that I don't feel condescended about these things. And yet I do feel that often there is quite an air of condescension that comes from those of us who might be called civilized about the practices of those who are uncivilized. Ugh. Ouch. Amy, we don't use words like civilized and uncivilized anymore. That was back in the days of imperialism. This is the 21st Century and we are enlightened. Except, when I see that 13 million people are laughing at two African guys who are shoveling sand, it does make me wonder how enlightened we really are. We must ask ourselves, Why do we assume these guys don't have a reason for what they are doing? Why do we assume they are just being idiots? And I am forced to look deep into my soul and examine what I really think about people who do things differently than me. Root out ethno-centrism. Put condescension to death. Look for the good. Assume the best. Choose humility. Of course, sin is there. Some people really are idiots--in any culture. I was driving with a Tanzanian friend the other day, and a guy was yelling in the middle of the street. Yeye ni lewa, my friend muttered. He is drunk. And many times, there is inefficiency and ugliness or just plain evil. But can I first realize that sin is in my heart, and will be coloring my view of how I see things? Can I stop assuming that my way is the best way, that different does not equal wrong (or stupid, or lazy)? In humility, consider others better than yourselves. Even if it means giving the benefit of the doubt to two guys shoveling sand. Where you live, the leaves are probably starting to change color. But down here in the southern hemisphere, things are heating up. So since the kids had the day off from school, we headed to Wet n' Wild. Yep, Dar es Salaam's very own water park. And it's only a mile away from our house. We got there at 11:30. We waited in line. This was the line. Needless to say, the wait was not long. Well, except that no one was in the ticket booth, so we had to yell into the window for a minute until someone heard us. One adult + 4 kids (Zawadi was with us) = 32,000 shillings or $19.20. The crowds were overwhelming, as you can see here. In fact, I think there might have been a whole 12 people there besides the other HOPAC friends who joined us. I mean, look at the lines the kids had to wait in! And Lily could practically barely move around the swarms of other kids! But before you start thinking that this place is too good to be true, well, don't. It may look amazing from distance shots, but when you get up close, your Mommy-radar may give a little shudder. Especially when you realize that the wonderful kiddie-pool is really just an ordinary playground cemented into the water on large concrete blocks with sharp edges. on closer inspection, you may notice this sign. Which was probably unnecessary considering that the whole front of the structure is covered with scaffolding. And when the children climb to the top of the slides, you notice large cracks running through the bottom of the stairs. And you notice that there are workmen, with drills, working on the scaffolding. But apparently, none of these are reasons to close down the slides to small children! In all the years we have gone to this park (over 13 years), the kitchen has never actually served the items listed on their rather extensive menu. I stopped being disappointed years ago, and have learned to ask, "So what are you serving today?" instead of even bothering to look at the menu. Today, it was burgers and fries. The truth is, that even though this park's lack of safety standards gives me a few heart palpitations, the kids always have an absolutely fabulous time. Why shouldn't they? They don't have to wait in line, they get the slides all to themselves, and they wear themselves out by running up the stairs. Sure, you know, Mom wants slides that aren't held up by rusty poles, but I guess I'm just picky like that. I have a college degree and a teaching credential and half of a master's degree. I love words--speaking them and writing them. Yet learning Kiswahili has reduced me to the status and knowledge of a two-year-old. Except when a two-year-old says, "Play wif me?" or "I want hot gogs," people think it's cute. It's not so cute when you are 37. Yes, we've lived in Dar for 10 years. We do not speak Swahili. I studied with a tutor for about a year when we first got here, and obtained a working knowledge of the language. I can communicate with shopkeepers, mechanics, taxi drivers, and the people who work for us. I can talk about the weather and the time and how much things cost. I have even done some some fast negotiating with customs officials at the airport. But not enough to build relationships. Our entire ministry was in English, and our ministry was all-consuming. We had relationships with many Tanzanians, but they were all English speakers. English is common here, and sought-after. All private schools, even public high schools, and all universities are in English. I tried in vain for years to find a Kiswahili pre-school for my kids, but anyone who can afford pre-school wants their kids to learn English. But now, our lives are different. Though we are still working with mainly English speakers, they are all Tanzanian. And the way to get to their hearts, and understand their culture, is to learn Kiswahili. Learning another language, while you are living in that language, essentially means that you are choosing humiliation. You often say things that you don't mean to say, and often, it's the wrong thing. You agree to things that you don't mean to agree to. You don't get the inside jokes. You are the inside joke. People talk about you behind your back, except they're actually right in front of you. People laugh at you, and even if you are laughing along with them, you feel like an idiot. We are diving into a Kiswahili church. We threw our kids in head-first. Grace cried after the first week. We bribed them with soda. It worked. We bribe them with money when we hear them using new words. That's working too. Hey, you do what you gotta do. But it's exhausting. I sit in church with my dictionary and my notebook and frantically look things up and write them down. Last Sunday, they announced a coming potluck and that everyone should bring food. I got that much, but not when it would be or for what purpose. It's kind of scary. And vulnerable. And humiliating. Thankfully, Tanzanians tend to be very gracious. They love it when foreigners attempt their language. They are happy to help. This is Lucy. She is my Kiswahili tutor and she comes to my house three days a week. She is sarcastic and mischievous, and very, very funny. 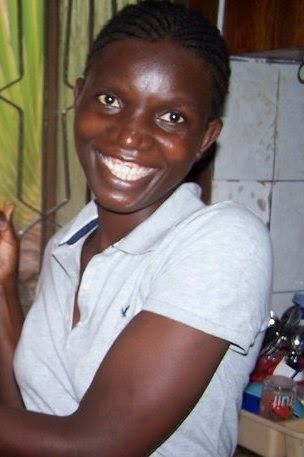 She loves Jesus too, and recently told me how she learned to bake a cake over charcoal (yes, it can be done!) just so that she could invite her neighbors over to tell them the simulizi (stories of God). She's pretty cool that way. If there's anyone who's going to come my house and make my brain hurt, I'm glad it's Lucy. Gil, on the other hand, decided to flee this English-infested community and head to Zanzibar island for language school. So he is there for this whole month, living with a local family and studying Kiswahili full-time. Of course, it helps that in his spare time, he gets to take amazing pictures like these, since Zanzibar is one of the most amazing places on earth. I'm sure glad He was willing to humiliate Himself for me. I will do it for Him. Now that learning Kiswahili is my focus, I won't have as much time for reading these days. But here are some great books I've read from the past few months. 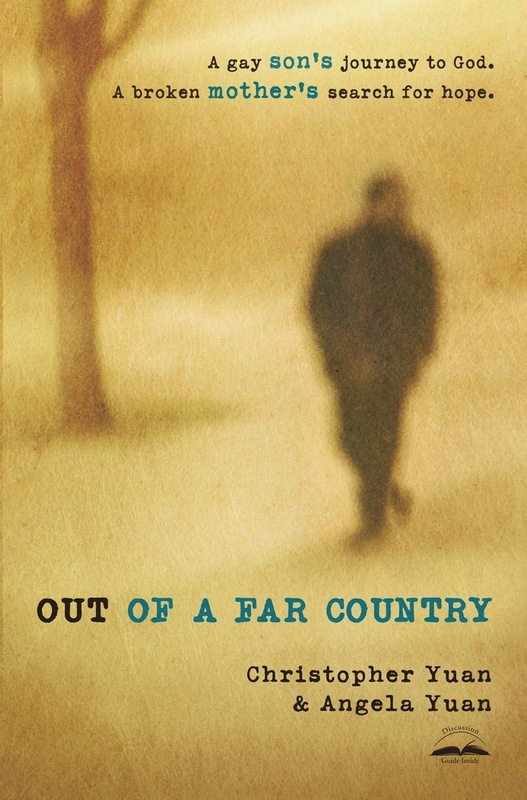 Riveting account of the prison that calls itself a country, those who manage to escape, and those that help them get out. Don't read this book if you want to stay comfortable with your life. 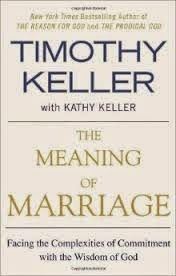 Probably the best marriage book I've read, and I've read many. "We are always, always the last to see our self-absorption. Our hurts and wounds can make our self-centeredness even more intractable. When you point out selfish behavior to a wounded person, he or she will say, 'Well, maybe so, but you don't understand what it is like.' The wounds justify the behavior." "Longitudinal studies reveal that two-thirds of unhappy marriages will become happy within five years if people stay married and do not get divorced." "Marriage by its very nature has the 'power of truth'--the power to show you the truth about who you are." Good stuff, that. I could fill this whole post with amazing quotes from this book. A must-read for singles especially, but really, pretty much any God-fearing person will celebrate this book. Brilliant, insightful read. 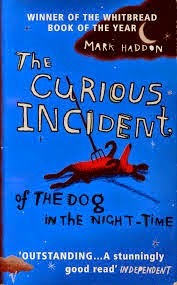 Though it's a work of fiction, it's told from the perspective of an autistic teenager. Fascinating glimpse into the way these unique individuals see life. The subtitle reads: A gay son's journey to God. A broken mother's search for hope. This is a beautiful memoir, full of honesty, hope, and so, so much grace. If you told your teenagers that you wanted to discuss nihilistic and post-modern philosophy with them, their eyes would probably roll back in their heads and drool would start coming from their mouths. But if you handed them this book (if they haven't already bought it themselves, since it's a teen best-seller), they might be much more interested. This book is essentially nihilistic philosophy packaged in a funny, witty, engaging novel. I know...it doesn't sound possible, but that's really what it is! The main characters (who are teenagers) even quote philosophy to each other. Seriously, this would be an amazing book to discuss with your teenager. But don't hand it to her unless you are ready to read it along with her. 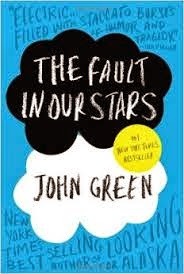 So after you've read The Fault in Our Stars, next read this one with your teen. This is a short, to-the-point, apologetic for Christianity versus, well, everything else, but especially nihilism. It speaks the language of college students and would be a great gift for those students living in the trenches. "If the entire show is the result of blind chance, then there really is no reason to trust our mental faculties--which are just one small part of the show. If our brain is itself an accident, then any argument we develop to the contrary can only be considered just another accident." "I often hear statements like, 'I'll only accept what I can prove scientifically.' This is, of course, a philosophical statement. It cannot itself be proved scientifically. You cannot see truth through a telescope. Is it thus false based on its own logic? It is certainly begging the question." Okay, so I probably bit off more than I could chew with this book. This is a looong book (though not as long as it first seems because half of it is end notes). And I am only a minor history buff and not a major one. Thus, I skimmed large sections that did not interest me. However, I still am highly recommending it because parts were utterly fascinating to me. 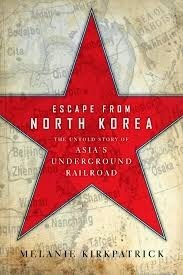 Stark re-examines the way we view history and brings out the biases that pervade how it is taught. 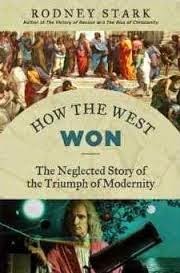 I especially loved the parts on slavery, the Arab world, the so-called Scientific Revolution, and the founding of the New World. Totally different perspective to what I was taught, and yet very well researched and cited. I've read many books over the years on Islam. Hands down, this is the very best one. 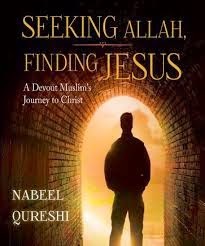 Qureshi knows what he is talking about since he grew up Muslim, and he shares the basics of Islam and how it compares to Christianity while telling his own inspiring, incredible story of coming to know Jesus. If you have a Muslim friend, you must read this book. This is a classic. 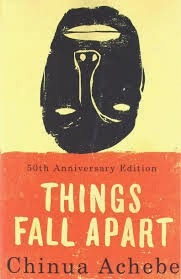 How did I live in Africa for so long and not read this book? This is the heart-wrenching story of a tribe in Nigeria, before and after the coming of colonialists and missionaries. So insightful into the worldview and culture of Africans. Very, very thought-provoking for us as missionaries. 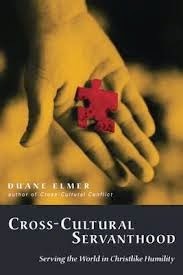 Definitely a must-read for anyone involved in missions or cross-cultural ministry. 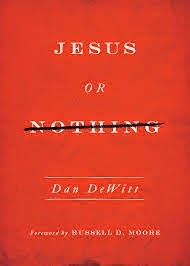 Convicting, insightful, and life-changing. "Ask me what is the first precept of the Christian religion, I will answer first, second, and third, Humility." "People usually don't act randomly or stupidly. Those from other cultures may think it random or stupid, but from the local person's perspective, they're thinking or acting out of a larger framework that makes sense to them....Too often we assume others are foolish or illogical simply because their reasoning is not self-evident to us." One is Victoria Osteen, wife of Joel, who recently told her audience, "when we obey God, we're not doing it for God...we're doing it for ourselves. Do good for your own self. Do it because God wants you to be happy. When you come to church, when you worship Him, you're not doing it for God, really--you're doing it for yourself, because that's what makes God happy." And then there's Rick Sacra. I've known Rick and Debbie Sacra since the 80's, while I was growing up on the ELWA compound in Liberia. Debbie Sacra was my sixth grade English and History teacher. They've been committed to Liberia ever since then, even through 15 years of devastating civil war and the war-torn country that limped back to life afterwards. Dr. Sacra had planned to return to Liberia at the end of August. When he found out that Dr. Brantly had contracted Ebola, he did not cancel his trip. He did not even postpone his trip. He actually moved up his departure date to get to Liberia sooner. He knowingly and consciously made the decision to walk into a situation where well over 50% of people are dying from a horrible virus. So Victoria Osteen, what do you have to say about that? That Dr. Sacra is obeying God for himself? That contracting a deadly disease and possibly leaving his wife a widow and his children fatherless would make him happy? That he literally and completely chose to lay down his very life....for himself??? As Bill Cosby says, That's the dumbest thing I ever heard in my life! Totally agree. Of course, when you go home to a 10 million dollar mansion, instead of a war-torn, poverty stricken country with a deadly epidemic raging through it, it's difficult to understand what "obedience" she is even talking about. The experts say that this epidemic is getting worse, not better, and that over 20,000 people will probably be infected before it's over. All of Africa is on high alert. ReachGlobal's All-Africa conference in Tanzania was recently cancelled--even though there's no Ebola here.....yet. This is serious stuff, folks. And we are forced to ask ourselves The Question. What do we do if it comes here? I don't know the answer to that question. But I do know that I want to follow Rick Sacra's example, not Victoria Osteen's. God has called me to deny myself, pick up my cross, and follow Him. Deny myself. Not "do it for myself." Does God want me to be happy? He wants me to be holy. And He knows, and has taught me, that happiness is found at the very moment when I put myself aside, and fix my eyes on Him. Unfortunately, the Osteen's toxic brand of "Christianity" has been exported to Africa, where it is found everywhere. We need a whole lot less of them out here, and a whole lot more Rick Sacras.